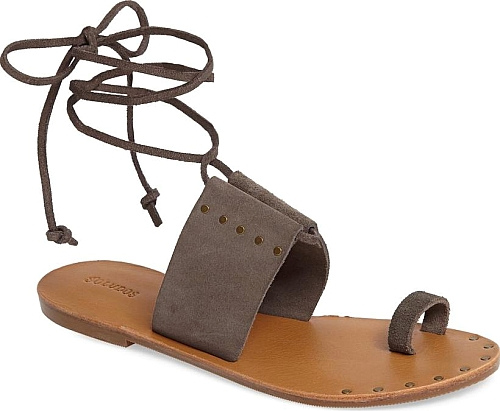 Rows of studs offset the minimalist vibe of a toe-loop sandal made from soft suede and finished with trendy ankle ties. 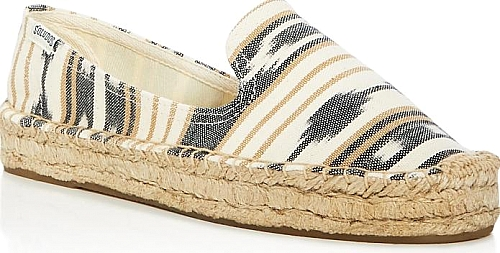 Soludos' ikat-print smoking flats add a bit of boho cool to casual outfits. 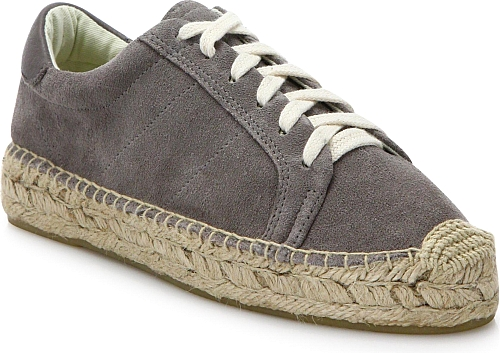 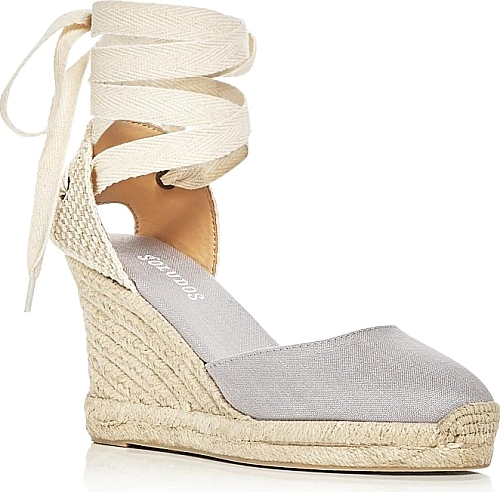 Woven canvas lace-up sneaker set on espadrille sole. 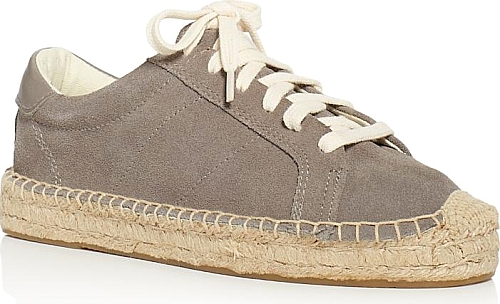 Canvas upper.